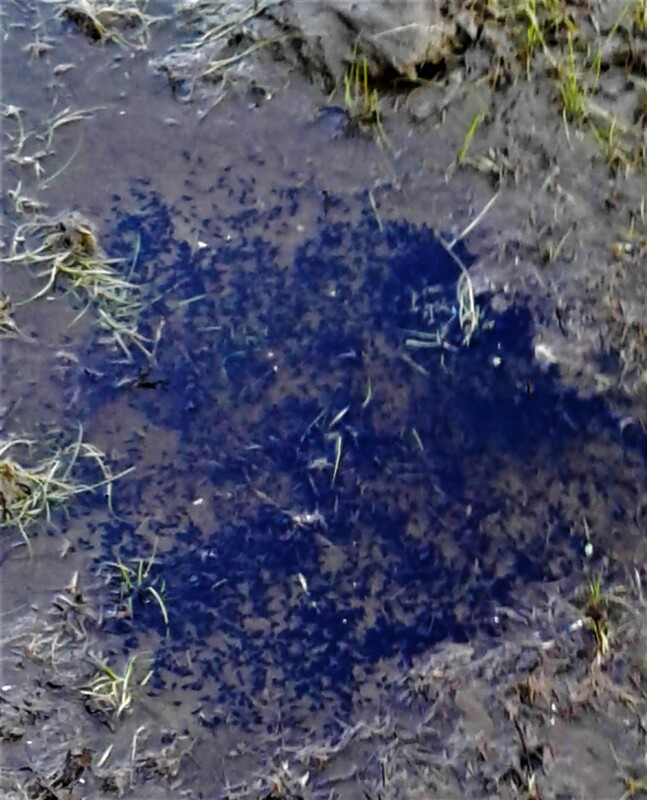 The little pig wallow was drying out and fast.. and in the last bits were hundreds of wee tadpoles. Needless to say.. we had to do something.. This is not the first time we have rescued and set up a area for them grow and become toads on the farm, so we knew what needed to be done..
We got a nice big tote (we will set up a metal water tank tomorrow but for right now, this works just fine and we moved some of the muck (which is why the water is augh, it needs to settle) and we used well water that was not to cold or to warm, if you did this in town, rain water is better, as it would not have chemicals etc. Hubby put in a big old handful of hay, and I picked fresh green out of the eating yard.. right now they need algee and plant but soon enough I will toss a worm or two into the bin for extra protein for them, I will do my best to see if I can get photos as they grow legs and into wee toads. 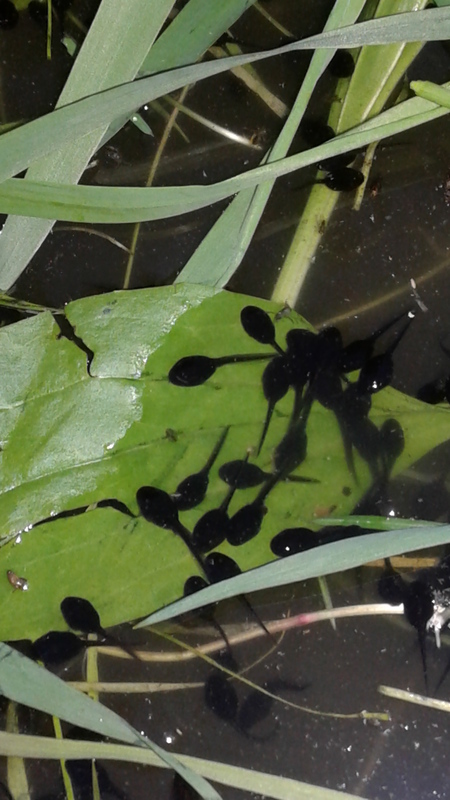 I will need to get out my toad watering pans and start filling them up.. Never mind that its just the right thing to do.. these guys will be hard at work all season long in my gardens for me! My thriving frog and toad populations speaks to my farms ecosystem but sometimes you just need to give them a big of help. 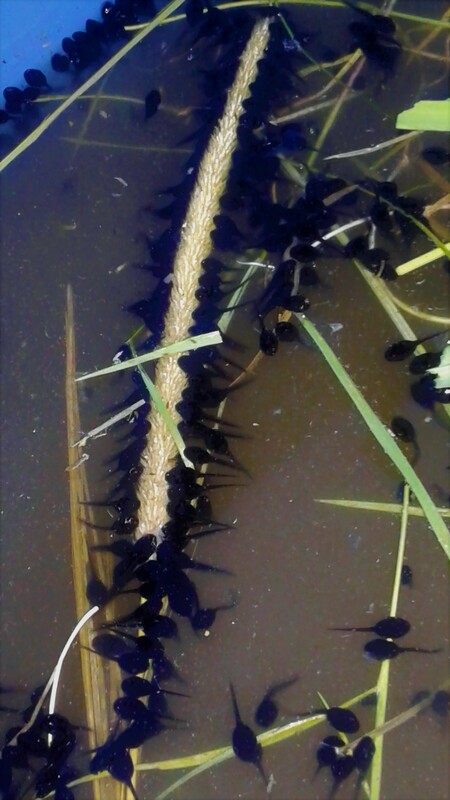 This entry was posted in Garden and tagged Raising Tadpoles, Saving Tadpoles, Tadpoles, toads in the gardens. Bookmark the permalink.